Meet the maker of our new Restoration Yard Christmas Gin, Hamish Martin. 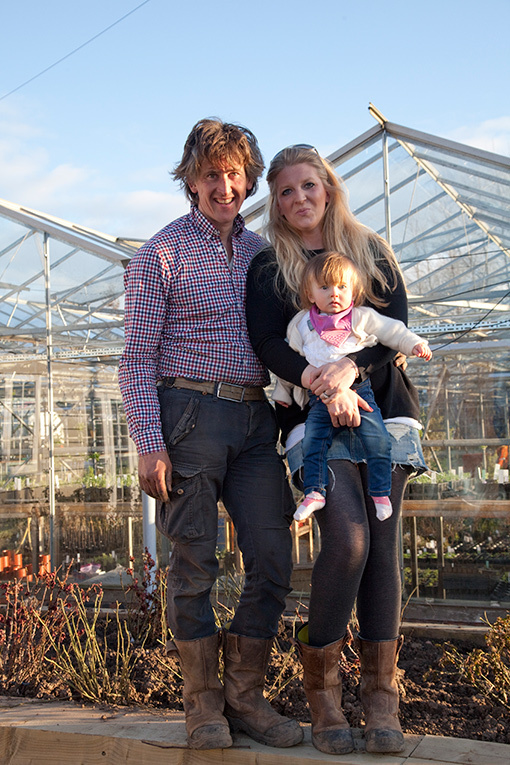 Hamish and his wife Liberty set up The Secret Herb Garden, nestled at the foot of the Pentland hills on the outskirts of Edinburgh, in 2012. It boasts a wonderful café, a shop full of vintage furniture, wine and beer. It was born of their dreams to create a special little retreat out of their love of herbs, good food and all things vintage. So how did it become The Old Curiosity distillery into the mix? Hamish reveals his gin journey here and how he made our new Restoration Yard Christmas Gin. What inspired you to start up Old Curiosity gins? The gin was borne out of necessity rather than thinking there was any business opportunity. Midlothian Planning Department were trying to stop us holding weddings at the Secret Herb Garden. They said: “weddings weren’t ancillary to our horticultural holding.” If we lost wedding revenue it would have shut us down. We fought their decision and 18 months later (and much cost and heartache) we won but from the very outset my wife turned round to me and said ‘you know that thing you can do with the roses and the gin I think you had better make business from it just in case we lose.’ Well that’s how it started. We had no money but I did manage to persuade three shareholders to invest in me and we built the distillery and away we went…. Why gin? It could have been a floral spirit but the current popularity of gin was too good an opportunity to miss and everyone knows what they get when they buy a gin. How did you find your little plot of land? The start up to the Secret Herb Garden that started seven years ago when we bought a 7.5 acre derelict site. I had stumbled across these huge ruined glasshouses and fell in love with the land and the potential it held to build a herb nursery, cafe and shop. We spent the first three years living in a static caravan with four kids and five dogs (we now have built a house on site and are up to seven dogs and five children) while eveloping the site. It took two full years to get it ready to open. What have been the challenges and the triumphs? Major triumphs have been national listings with every M&S, John Lewis and Harvey Nichols stores. Oh and of course our first account we ever sold to which was Restoration Yard! The challenges are always present, thank goodness, life would be very dull if they weren’t. What sets your product apart from others on the market? We are different to all the other gins on the market in a few ways. Firstly we grow our own botanicals, hand pick them, use no chemicals whatsoever – we don’t even use organic chemicals. I’ll only use a plant to heal a plant. Also, we have our own drying room where we can obtain perfect colour of the petals and aromatics from the botanicals. Secondly we make single plant distillates. That means we distill flowers separately. For example, the Apothecary Roses are distilled, which means you capture the true flavour, aroma of the rose. We then add this to our gin, which is why you can taste the roses so clearly in our gin. Thirdly, we then use the dried petals to infuse the gin to get the colour from the petals. The fact that the gins then turn pink when you add tonic is a natural pH reaction within the petals. All our gins taste of the flowers they say they are, turn pink all completely naturally and taste fantastic – this makes us truly unique in an over-crowded market. Can you tell us some of your perfect gift ideas for this Christmas? Give someone a young native tree for them to plant somewhere – what better gift can you give for one person and in turn benefit everyone? 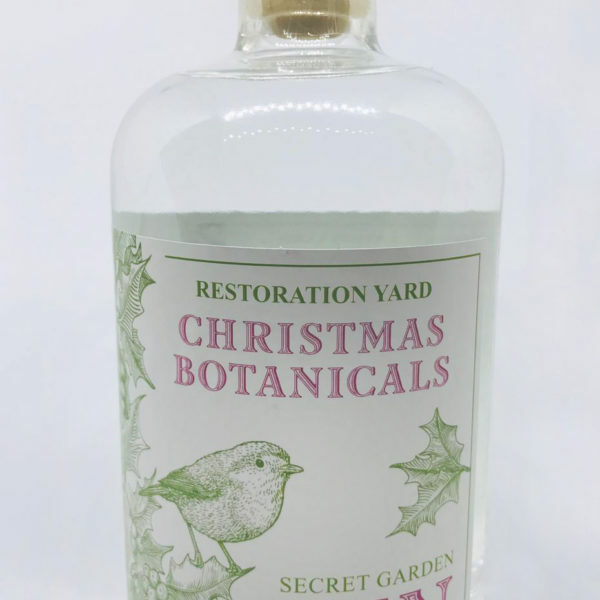 Tell us a little about our Restoration Yard Christmas Gin that you’ve created for us? So your gin is made from Juniper, Coriander, Winter savoury and Angelica (all grown on site at the Secret Herb Garden). We distill separately ginger and then cardamon and lastly cinnamon. I then blend these three very powerful distillates and add it to the gin. That is why, when you drink your gin, you will taste the classic gin flavour first but you will slowly detect the clean, fresh flavours of the ginger, cinnamon and cardamon all warmly wrapped up in one glass to deliver the most perfect Christmas Gin – serve on ice long, with dried or fresh orange and a stick of cinnamon – perfect. What will be your perfect gin this Christmas and how and where will you be partaking it? My perfect Christmas gin would be our Limited Edition Christmas Gin which was made the same way as Restoration Yard’s Christmas gin but we also used petals to give the gin the most amazing light red colour that when tonic is added . It turns pink. It is amazing. We could only make 476 bottles (ran out of petals) – however we sold out in five days. I’m not to sad as I will be drinking your Christmas gin. I will be making it into a classic Negroni with a festive twist. My wife will make a bulk amount of this to see me through the festive period as it is my ‘go to drink’. However, it should have a warning as having a pre-made Negroni makes it too easy to have seconds. Meet Hamish at our event at our Meet The Makers special tonight, 29th November from 6 to 8pm.We’re kicking off our Thursday late night shopping events with a special Christmas ‘Meet the Makers’ evening where you’ll get to meet some of the designers and producers behind our labels, helping you pick the best of their collections. What’s more we’ll be hosting an extra special charity raffle to help raise much-needed funds for CHAS (Children’s Hospices Across Scotland). Enter to be in with the chance to win some amazing prizes including a Chamomile Sanctuary Ultimate Indulgence Package, Afternoon Tea and Restoration Yard Hamper.